Other identities and life experiences. Please check out our alternate opportunities page for even more programs! I’ve never been camping or backpacking before. Can I still participate in GOALS? Yes! You don’t have to have any outdoor experience to participate in GOALS. To make your first camping/backpacking trip a safe and positive experience, the GOALS program includes pre-trip activities including local hike and a day-long orientation that will help prepare you for your backcountry experience. GOALS staff are also available via email and text before the trip to answer any and all of your questions. Do I have to play sports, hike, or have a certain fitness level to participate in GOALS? You don’t have to play sports or have hiking experience to participate, but all our scholars must be able to hike for up to 6 miles carrying a heavy backpack. It’s okay if you’ve never done this before – we can help you prepare before the trip! Do I need to own my own camping equipment? No special equipment is necessary to participate in GOALS. GOALS provides all of the outdoor equipment – from tents and stoves to hiking clothes – and you’ll even get your own pair of hiking boots to keep so you can continue your adventures long after the program ends. Is it safe to go backpacking? Should I be worried about wild animals? GOALS trip leaders are experienced backpackers who also have wilderness first aid training, and are well-prepared to keep you safe in the backcountry. Our backpacking routes have been designed with input from National Park staff, and we always stay on marked trails so that nobody gets lost. Although we do not expect any emergency situations to arise, GOALS trip leaders carry multiple communications devices and will alert both GOALS and National Park staff in the event of an emergency. Additionally, we will have GOALS staff on call if any emergency situations arise at home and parents/guardians need to get in touch with their scholar. In terms of wild animals, the main way to keep both animals and people safe is to keep a safe distance and make sure animals do not eat human food. You’ll learn about safe wildlife encounters early in the trip and practice safe wildlife viewing techniques throughout. Some wildlife you may see include deer, beavers, pika squirrels, chipmunks, and yes, the black bear. Black bears are generally skittish and non-aggressive, and do not bother humans as long as we don’t feed them. We take safety precautions to keep both animals and human safe by storing our food in bear-proof containers. How is GOALS funded? We are funded through a combination of private donations and grants. 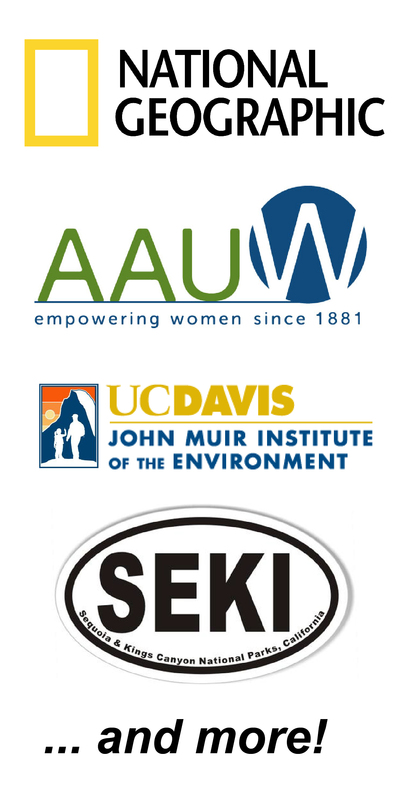 We have received grants from National Geographic, the American Association of University Women, and the John Muir Institute for the Environment at UC Davis. If you are interested in donating to GOALS, you can find more information on our donation page. I’m a UC Davis student. How can I get involved? We are always excited to have new members. Please check out our Get Involved at UCD! page.